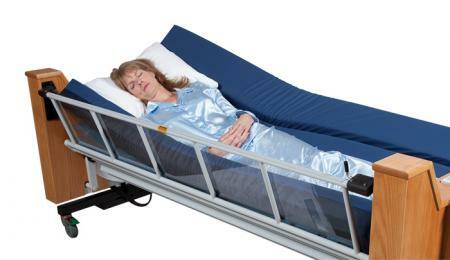 Welcome to ProBed Medical Technologies Inc. and ProBed Medical USA Inc.
FOR OVER 20 YEARS the Freedom BedTM has been enhancing the lives of our clients across North America and in other countries. As the testimonials found on this site demonstrate, the Freedom Bed offers many significant benefits that enhance and improve the lives of our clients while reducing long-term care and medical costs. The programmable rotation feature of the bed allows for more frequent safe, smooth, quiet and accurate rotation while the client sleeps. More frequent: Increased repositioning significantly reduces the risk of developing pressure sores (decubitus ulcers) that are painful, life-threatening and require expensive hospitalization to overcome. Similarly, frequent repositioning virtually eliminates the risk of pneumonia and other pulmonary problems that, again, require hospitalization to cure. 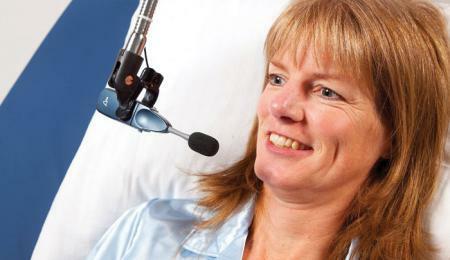 Learn more about applicable medical conditions that can be supported with the use of the Freedom BedTM. 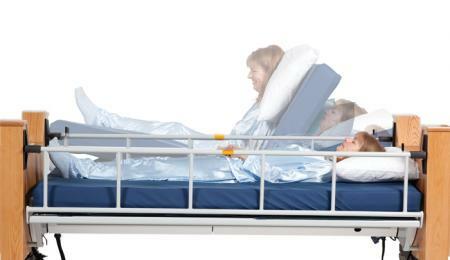 Safe: The Freedom BedTM is designed with the safety of the user of paramount importance. 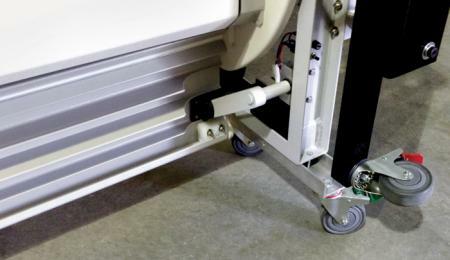 On board sensors monitor each command to the bed ensuring safe operation at all times. 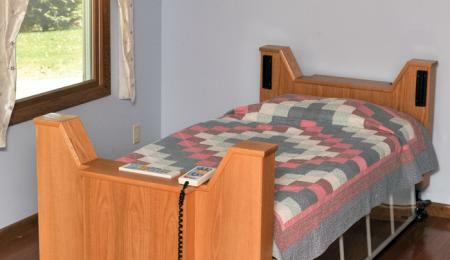 Dynamic side-rails provide an additional level of confidence to bed users. Smooth: The Freedom BedTM utilizes a mechanical turning system that gently repositions the user on command (manually) or automatically on a program designed to meet the specific needs of the user. 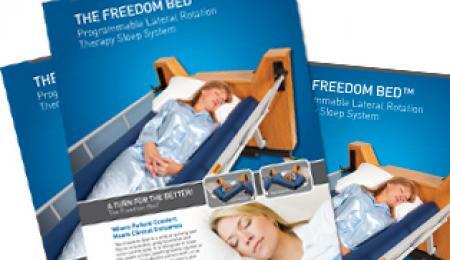 Quiet: The Freedom BedTM is “whisper quiet” without the annoying noise associated with air mattress systems. Accurate: Being able to read out the rotation (repositioning) angles in one-degree increments allows for programming positions that are highly effective in the long-term care of the user. The Freedom Bed’s mechanical turning system means that the integrity of the selected programmed positions remains constant – no torsional discomfort due to air flow displacement. Our Freedom BedTM clients sleep through the night, as do their family members, ensuring that all enjoy a good night’s sleep with the resultant health benefits. We invite you to explore the pages of our website to find out more about the many features of the Freedom BedTM, watch our 15-minute explanatory video and call or email us for more information specific to your needs.